I photograph birds because it brings me joy. First, I feel a special connection with life when looking into a bird’s eyes. Then I experience serenity while watching the pure simplicity of how birds live. And once back at home looking at the photos I’ve taken, I celebrate the beauty in Nature when I see the exquisite details in feather patterns, shapes, and colors. 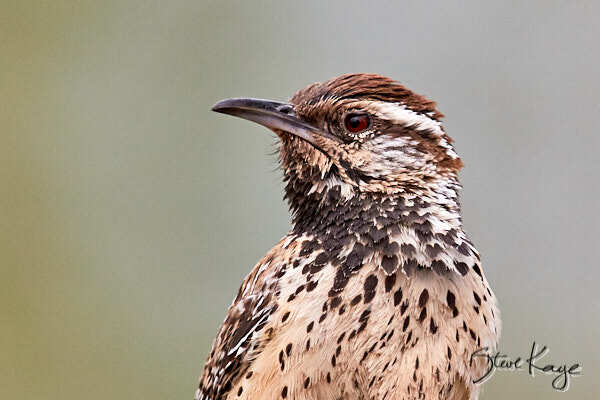 For example, notice the complexity of patterns on the Cactus Wren. Even in this small photo, you can see that some of the throat feathers have white edges. 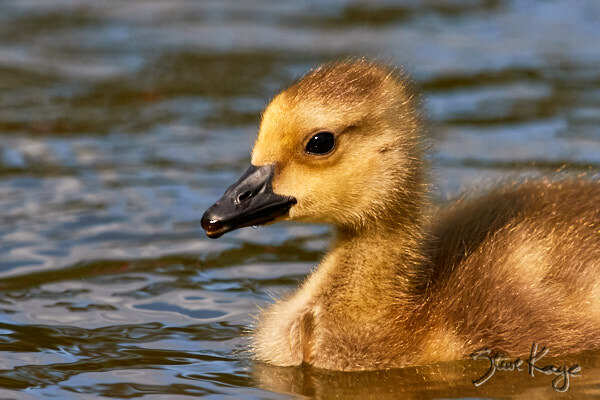 Then there’s the monochrome subtlety of a Canada Goose Gosling. This bird has matured from being a bright yellow into the golden brown that you see here. Besides feather details, there are bill shapes. 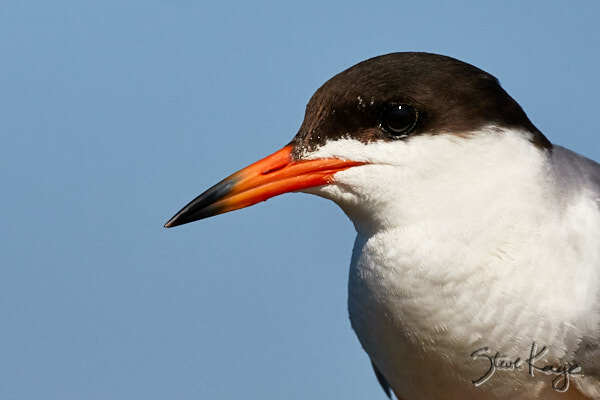 Notice the contours that form this bill on a Forster’s Tern. Those ridges matter, too, because they make the bill strong enough to hold onto a fish. 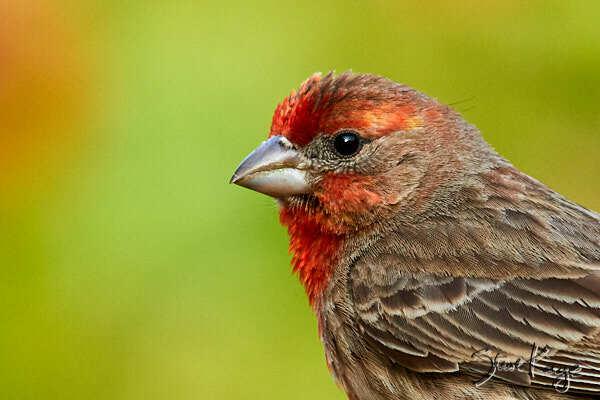 Even a common bird, such as a House Finch, shows a spectrum of shades in its feathers. Notice how tans blend into browns. So I find beauty even in the plain brown birds that visit our yard. Some birds reveal their colors when the light is just so. For example, here’s a Rivoli’s (Magnificent) Hummingbird, juvenile male, showing a hint of what its gorget will look like when it becomes an adult. All these photos show more details than could be seen by casual observation. And some of these details appear only during the instant when a shutter clicks. In total, these photos represent a visual fortune. And like any wealth, I consider this to be a gift that has value only when I share it. So that’s why I publish these blogs. I hope that others will share my joy, and through that have a greater respect for Nature. During summer you will need to refresh bird feeders more often. 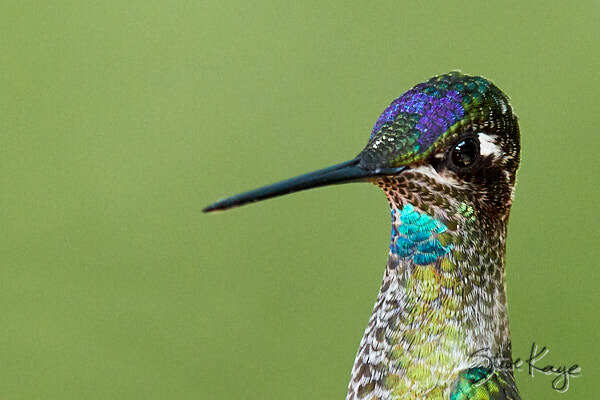 For example, warm temperatures will cause sugar water in hummingbird feeders to ferment in a day (or two). So please clean and refill your bird feeders (almost) daily. Thank you for these beautiful photos and your comments on them. I really understand the joy and the connection that you feel through your close study of birds. Yesterday at the bottom of my garden I saw a robin, and then I saw two baby fluffy chicks hopping about and finally taking off. I watched entranced. Since reading your blog my appreciation of the world of birds has really grown. Thank you for that.